The concept of (as they call themselves) the three Gringos – Marco Lufen (Duotone/Fanatic), Vice World Champion Adrien Bosson (Duotone/Fanatic) and videographer Chris Czadilek (CC Films) was to forget about the competition for a while and to re-ignite the team-spirit in windsurfing – to focus on the passion and fun, which lights up the fire in the heart of each and every person in this sport. Supported by several big brands, the trio chose Brasil as their destination – a place with almost 100% chance of wind in the European autumn and winter months. No better place to bring their idea to the water! 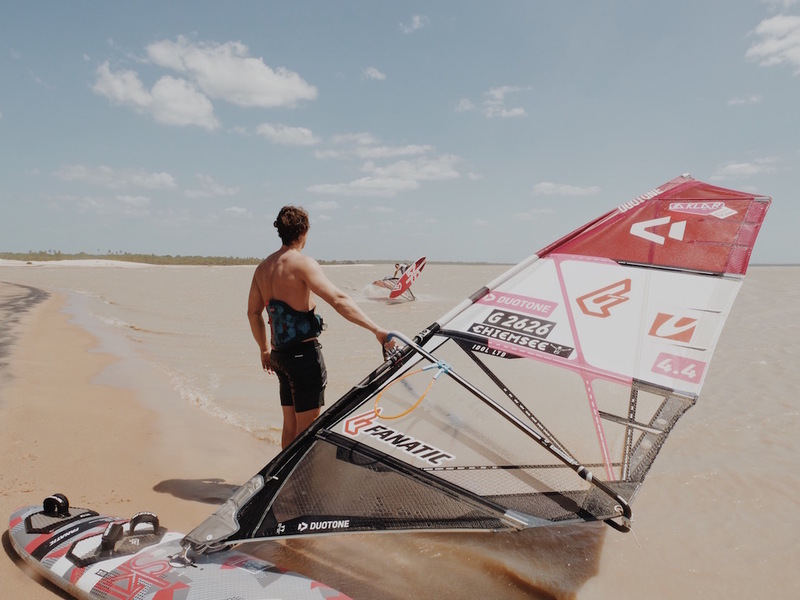 After spending the first week in of the most famous spots fo freestyle, Jericocoara, the three adventurers were seeking some swell further up North, enjoying all the great conditions at the Club SaBarraStyle in Maceio. Two of Europes best freestyle windsurfers paired with a filmer, that wouldn’t stop until he has the perfect shot? Sounds great to us! Enjoy the movie! Obrigado Brazil from CCfilms on Vimeo.